Welcome to Cenultra power flush. Our expert engineer of central heating power flush covers throughout London. We deliver advanced central heating power flush services to homes and businesses in the local area. Our power flush can extend the life of your central heating system. Power flushing can also help in reducing gas bills and running cost. There are many symptoms of problems with a central heating system that suggest a power flush is required. If your central heating unit or gas boiler are showing any of these signs, then you might really feel the benefit after a power flush in how warmer you feel and in your pocket. Our power flush engineers are fully prepared in the Power flush system and we will make sure that the process is performed with the minimum of interruption to your home and routine. Our helpful and skilled engineers are all DBS (formerly CRB) checked and fully qualified in power flushing both commercial and domestic properties. They can quickly identify issues that have actually happened in central heating systems due to the develop of black iron oxide ‘sludge’ and limescale and can offer valuable guidance regarding repair works and replacements that might be needed throughout or after a power flush. Every engineer carries a significant range of replacement valves and components need to your heating system require any additional repair works. We offer a FREE no obligation quote for all customer and all our work is guaranteed for a minimum of 5 years. Our power flush is a reliable method for one our heating engineers to clean your central heating system. The powerflush equipment is generally set up outside your house, connects to your central heating unit and cleans your entire system without needing to take off any radiators. Cleaning chemicals are added and an inhibitor that if inspected every year will protect you heating system for life. 1. A Power flushing is performed to remove iron oxide deposits (magnetite) from your system. 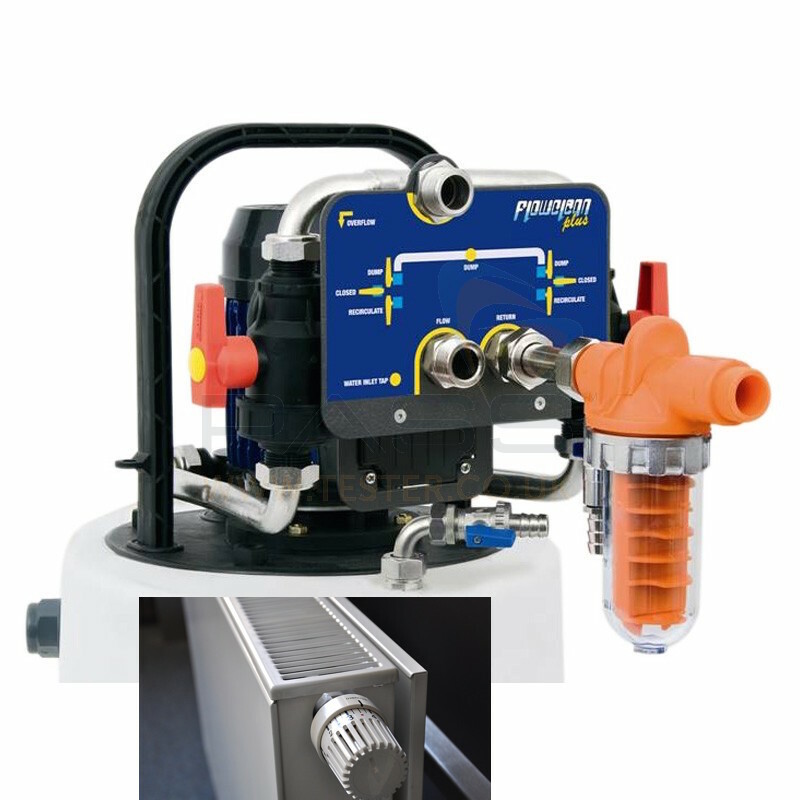 A power flush machine is connected to the most suitable point on your system normally the radiator pipework. The equipment pumps high pressure water in conjunction with chemicals to eliminate all metal deposits, sludge and debris from your system. 2. Before the installation of a modern-day boiler, especially with high-performance boilers, a power flush is needed to make sure that the system is clean. To make sure that your manufacturers guarantee is valid there is an approved requirement that is required by all producers known as Benchmark, Cenultra will ensure that work performed is up to the legal required standard, so that you won’t have any issues with the manufacturers at a later date. Power flushing for 1- 3 radiators strat from £ 150. Power flushing for 5 radiators start from £ 180. Power flushing for 6 radiators start rom £ 210. Please call our office on 0207 127 5128 if you have more than 7 radiators. The central heating power flush is completed by one of our Heating Engineers connecting our special equipment to your central heating system. The equipment pumps high/low pressure water around the system to eliminate the loose debris from the system causing obstructions and decreasing flow. A power flush of your central heating system will clean up the radiators on the inside allowing your heating boiler to be more reliable in delivering heat and doing it economically. Clean radiators permit the hot boiler water to run easily through the boiler and heating panels making your home warmer. . The chemicals applied during a power flush to assist get rid of corrosion and sludge, a descaler to cut limescale and a rust inhibitor to stop further rusting from happening. The crust breaker and cleaner are acid-based so that they assist in removing any corrosion that might have settled in the boiler, radiators and pipeworks. At the end of the process, there is no acid left in the central heating system’s water. Without treatment, rust can build up in your boiler and heating system causing limescale, minimized efficiency, and ultimately boiler breakdown. Should our thermal camera assessment show up such problems, the solution is Powerflush. Power flushing is the most effective and efficient method of cleaning your central heating system. Cold spots on your radiators could be an indicator that your main heating system needs a clean.